"I would like to take this opportunity to thank you and Jon for helping to make our Annual Dinner of 2008 such a great success. Myself, and Sue Bowles were very impressed with the professionalism, enthusiasm and willingness to assist us in ensuring that everything went off without a hitch. Once again, my thanks to you all and I look forward to using Unity Conference & Events in the future." "I just wanted to say thank you for all your hard work on the events. The feedback on the set has been fantastic. Your project management skills were fantastic and you really pulled out all the stops and were available at every opportunity. Thanks very much." "May I, on behalf of the Institute of Traffic Accident Investigators, say a huge thank you for your assistance at our biennial Conference. Your support and advice was invaluable and without your professional approach and experience, I doubt the event would have been as successful as it was. Your dedication and effort was outstanding but at all times you remained accessible, courteous and discreet. 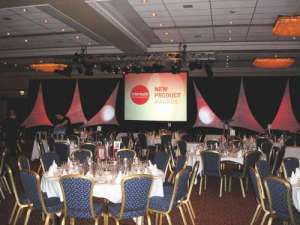 I would have no hesitation in recommending your company to anyone wishing to stage such an event." "I am writing to express my thanks to you for helping us make our Directorate Shining Stars Celebration 2007 a success. The professional approach you showed when dealing with our VIPs the Lord Mayor and Lady Mayoress of Birmingham and Terry Waite CBE was excellent. Thank you for the patience you showed and the efficient way you set up and supported the event. We look forward to working with you again." "Thank you so much for helping to make our meeting, held on 1st August, such a successful event. I would particularly like to thank Matthew and Jon from Unity Events their assistance was superb"
"I would like to thank you and your staff for your assistance and efficient service during our meeting, we value this highly"
"Many Thanks for your valuable help today. We look forward to working with Unity Events again"
"I should like to put on record our appreciation for the efficient way you performed your jobs at the Newspaper Sales Conference. You were at all times helpful and I was particularly impressed by your dedication and professionalism. I shall have no hesitation in recommending your company in the future"
"The Conference Committee and I were delighted with the service and expertise provided by Unity Conference & Events. The set exceeded our expectations. The service provided by Matt Pearce and Jon Preussner was exceptional. I highly recommend your services to any Conference Chairman. You were lovely to work with, extremely hardworking and always polite"
"I would like to express my thanks to yourselves and your team, who worked diligently during set up. The whole event was a great success and many comments were made to how impressive your stage and set looked. I look forward to using your services for future events"